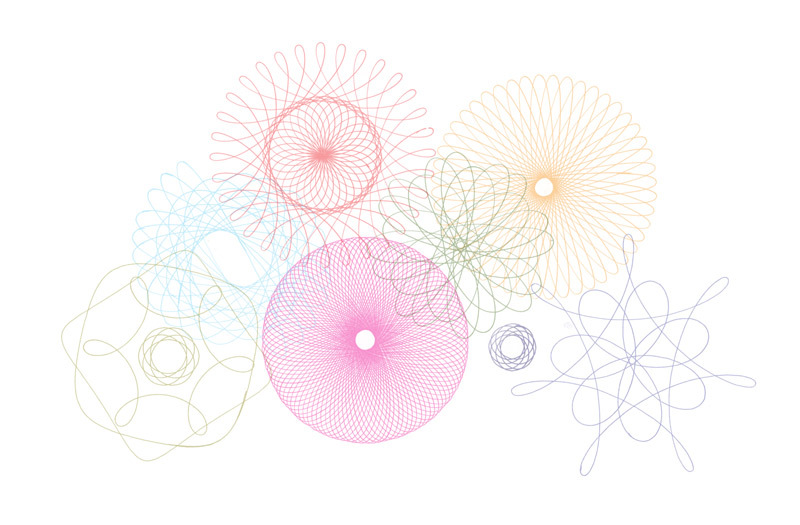 45 Vintage Kenner Spirograph Photoshop brushes – drawn, scanned and touched up. Among other things, I made these postcards from this brushset. Like I mentioned earlier, I am not a big fan of deviantart, but I upload resources there to save some bandwidth. To download the brushes just click the picture above. – The brushes are free for non-commercial use. – A link back to sushibird.com if you use these brushes is much appreciated. – You may not redistribute these brushes elsewhere. – Feel free to post a link to your work if you have used these brushes.